You must have certainly come across the term cloud computing. But why should you embrace cloud? Well, cloud computing offers a lot of benefits to the organisations and enterprises in the form of cost-effectiveness, enhanced productivity and scalability. At IT SYS, we consider Cloud as a paradigm which will allow the organisations to run their business operation with greater efficiency. But are you wary of your data being compromised? If that’s what holding you back from adopting cloud computing for your professional needs, worry no more. IT SYS’s Private cloud (IaaS) solution is the one for you. Our private clouds offer you a completely secure and dedicated environment of hardware and software that’s exclusive to your organisation. Only you or your organisation can access the pool of resources. Unlike public clouds, you don’t have to share the resources with other users. Thus our private cloud hosting allows you to have complete control and a greater level of customisation. Our team of expert cloud consultants possesses ample expertise to help you choose the most efficient private cloud solution based on your requirements. We analyse your business to come up with the most appropriate solution for you. IT SYS’s IaaS hosting solutions are aimed at providing you with a reliable, cost-effective and secure cloud solution for your business. We offer our services on the VMware platform which is an efficient and agile platform to work with private cloud systems. Our VMware Certified professionals will make sure your private cloud is up and running 24*7 without any hitch. You can easily manage things through the vCloud web portal and other API tools. So what are you waiting for? Contact us and let us work on your behalf so that you can focus on things that are important to you. As one of the best IaaS providers in Australia, We make sure your data remains complete secure and out of the reach of prying eyes. To keep your privacy intact, we implement higher levels of network security. As the resources are to be accessed by your organisation only, we can help you customise your private IaaS as per your needs. Thus you can have a solution completely tailored for you. As one of the reliable IaaS providers in Sydney, We have automated disaster recovery system to ensure the safety of all your critical data. We provide you vCloud API-compatible orchestration tools that help you control your private cloud. One of the biggies when it comes to the most Data Center. 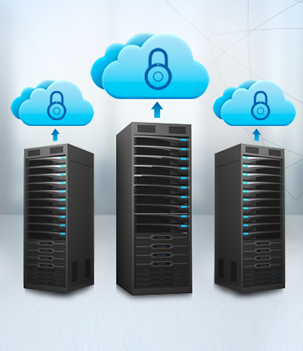 It provides connectivity to 190 plus cloud service provider thus; your data is in trusted hands. As we guarantee 100 % backup your private cloud.